No, just expensive and no 4K. Well, 5K, but that's the price. Wifi. This is a clear sign that 5D mark 4 or any other DSLR to come from them won't be better than this. Such a shame! Hmm I wonder how much the c300's going to cost, and if it will have 4k. I heard rumors that Sony will have 4K in most of their products next year, Nikon will follow and I wonder who the heck will buy any Canons, the video guys definitely NOT! Small tip - around 99% of people won't have any 4K TV or projector this and next year. C100 is quite popular camera and I am sure C100 MK II also won't be bad selling thing. @Vitaliy_Kiselev Even if there's no mass 4k adoption yet, video people should still consider it a dealmaker or breaker if buying a camera now. If not for the future-proof and ability to satisfy producer/director demand... then for the ability to crop and stabilize in post. @Vitaliy_Kiselev I will never look back to a FHD camera only! You don't need a 4K screen to see the benefits of 4K video, I bet you know this very well. For a little extra man can buy a real camera like AJA Cion or Sony F7s. 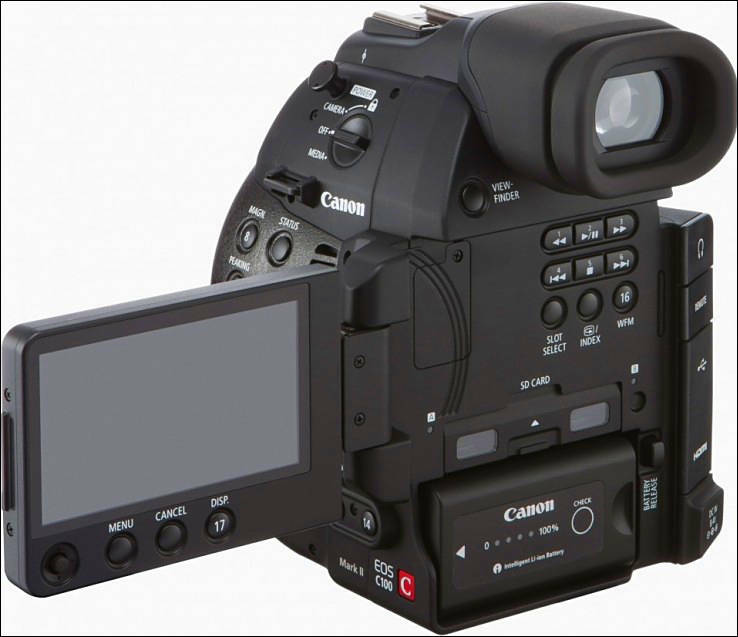 C100 mark 2 should be in 1500$ range, quality and feature wise. I must have read this article 5 times wondering where the part about 4K was. I must be blind because no company in their right mind would release a $5000+ video camera in 2014 without 4K, would they? Too bad. I love the form factor of the C Series. C100 MkII still is a nice camera for a lot of people who don't need 4k. Lots of Pros using C Series. I see them all over sporting events. I hate Canon, but this is for journalists and wedding videographers who need quick turn around knowing they are compromising image quality. As someone else mentioned in another forum, the "Wireless File Transfer" is one of the biggest assets for reporters in other countries. FHD will be here for a while and small file sizes are better for these users. For all other filmmakers move on as it doesn't make sense in this price range. If this camera was about $1500 less it would make a lot more sense. If this camera was “less than $1500” it might make more sense. It's not a DSLR (or DSLM) and would never be priced like one. Even Sony, who are extremely aggressive in the video field do not price their large sensor video cameras below $4K (unless they're basically old or discontinued). The C100s have a ton of great pro features, but they're still lacking in the bit-depth, resolution, and codec departments. I think $4K would be a fair asking price for its features. Of course many would disagree. Fair enough. As it stands now I think its a bit overpriced and under featured... but somehow Canon will still sell a ton of them. 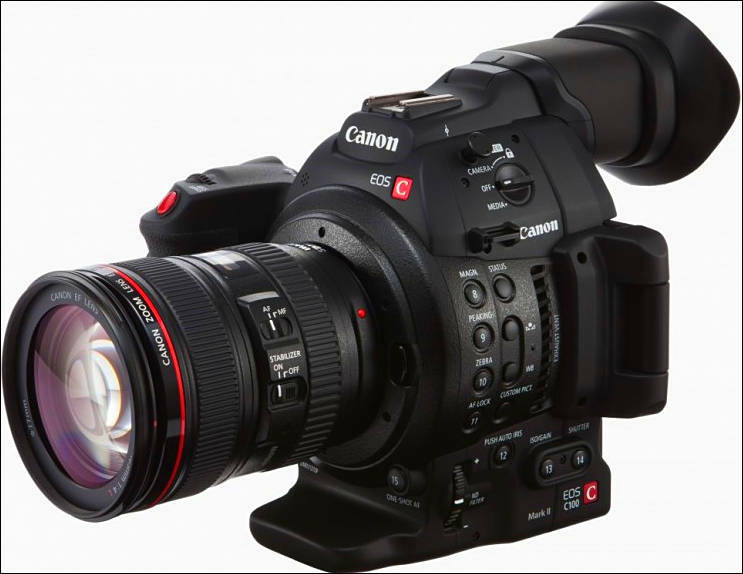 Keep an eye on the first generation C100s come December. You just might get your wish. hey....it's got a new eyecup ! Seems that both Sony FS7 and Canon C100 Mk II are designed exclusively to film silk painting ;) !